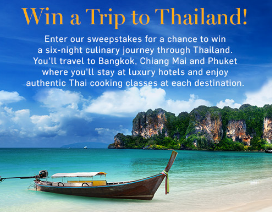 Williams-Sonoma Win a Trip to Thailand Sweepstakes – Win a trip for 2! ELIGIBILITY – The 2016 Williams-Sonoma Win a Trip to Thailand Sweepstakes is open only to legal residents of the fifty (50) United States (and the District of Columbia) who are at least eighteen (18) years old at the time of entry. SWEEPSTAKES ENTRY PERIOD – The Sweepstakes begins on January 21, 2016 at 12:00 a.m. United States Eastern Time (“ET”) and ends on February 18, 2016 at 11:59 p.m. ET. Approximate Retail Value (“ARV”): $14,350 USD. 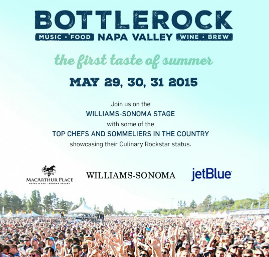 Williams-Sonoma BottleRock Sweepstakes – Win a trip to the BottleRock Napa Valley Music Festival & more! Win a trip to the BottleRock Napa Valley Music Festival & more! SWEEPSTAKES PERIOD – The Sweepstakes begins at 9:00AM PST on April 16, 2015 and ends at 11:59:59PM PST on May 20, 2015. PRIZES – TWO (2) Round Trip flight vouchers via JetBlue Airways (Approximate Retail Value of both vouchers combined: $600), ONE (1) $2,000 gift card from Williams-Sonoma (Retail Value: $2,000), TWO (2) VIP Tickets to BottleRock Napa Valley Music Festival (Approximate Retail Value of both VIP tickets combined: $1,300) and a THREE (3) night stay at MacArthur Place hotel in Sonoma, California. (Approximate Retail Value: $1,000). [Gift card subject to standard gift card terms and conditions; see gift card for details.] The approximate retail value (“ARV”) of the Grand Prize is $4,900. 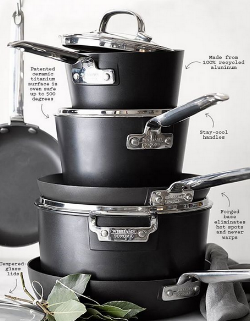 Williams-Sonoma Professional Nonstick Cookware Sweepstakes – Win a cookware set! Win a Williams-Sonoma Professional Nonstick 10-Piece Cookware Set! ENTER SWEEPSTAKES HERE – Williams-Sonoma Facebook page. Leave a comment sharing the first healthy dish you would make if you won the cookware set. ELIGIBILITY – 18+. USA resident and Facebook member. SWEEPSTAKES PERIOD – Comment by midnight on 1/23 (PT). PRIZES – One winner will receive a Williams-Sonoma Professional Nonstick 10-Piece Cookware Set. ARV: $950. 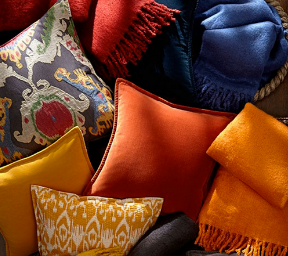 Pottery Barn $20K Home Makeover Sweepstakes – Win $20K in gift cards! Win $15,000 in gift cards from Williams-Sonoma, Pottery Barn (see list below) and a $5,000 gift certificate from Rejuvenation! ELIGIBILITY – Pottery Barn $20K Home Makeover Sweepstakes is open only to legal residents of the fifty (50) United States (and the District of Columbia) and Canada (excluding Quebec), who are at least eighteen (18) years old at the time of entry. SWEEPSTAKES PERIOD – The Sweepstakes begins on November 17, 2014 at 12:00 a.m. Eastern Time (“ET”) and ends on January 15, 2015 at 11:59 p.m. ET. PRIZES – ONE (1) GRAND PRIZE: $15,000 worth of gift cards from Williams-Sonoma Inc. (redeemable at Pottery Barn, Pottery Barn Kids, PBteen, West Elm and Williams-Sonoma) and a $5,000 gift certificate from Rejuvenation (redeemable at Rejuvenation stores and via phone). Terms and conditions of gift cards apply. Approximate Retail Value: $20,000 USD. 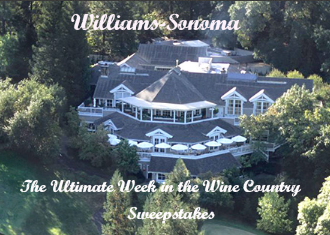 Williams-Sonoma The Ultimate Week in the Wine Country Sweepstakes – Win a trip to California & more! ENTRY LIMIT – Limit: Only one entry per family unit, regardless of method of entry. ELIGIBILITY – The Promotion is open only to legal residents of the United States of America and the District of Columbia who are 21 years of age or older at the start of the Promotion and who satisfy all other eligibility requirements contained herein or applicable by law. 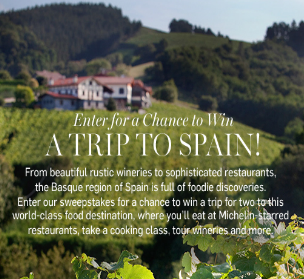 SWEEPSTAKES PERIOD – “The Ultimate Week in the Wine Country” Sweepstakes runs from 12:01 am PST on July 24, 2014 through 11:59 pm PST on September 12, 2014. -A four-night stay for two at Meadowood Napa Valley. Two people, double occupancy. -Round-trip coach (economy) class air transportation from a major commercial airport in the continental U.S. closest to the winner’s residence (selected by Sponsor in its sole discretion) for themselves and one (1) guest. Grand Prize Winner and Guest must travel from one departure location and must travel on the same itinerary. 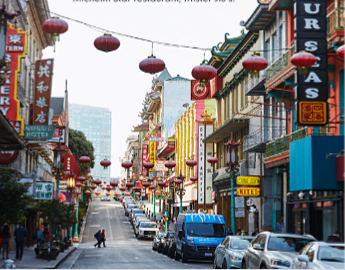 If Grand Prize Winner resides within a 100-mile radius of San Francisco, ground transportation may be provided in lieu of air transportation and no compensation or substitution will be provided for any difference in prize value. (ARV $1,800). -$500 Visa Gift Card for transportation, local outings and personal shopping (Gift Card subject to standard gift card terms and conditions; see gift card for details.). -Personal concierge assistance with trip planning for The Ultimate Week in the Wine Country prize, available Monday through Friday, 10am-5pm PST. Pottery Barn $50K Design Your Home Sweepstakes – Win $50K in gift cards for your home! Win $45,000 worth of furnishings from Williams-Sonoma Inc. (awarded as gift cards) and a $5,000 Sherwin-Williams gift card! of the fifty (50) United States (and the District of Columbia) and Canada (excluding Quebec), who are at least eighteen (18) years old at the time of entry. SWEEPSTAKES PERIOD – The Sweepstakes begins on July 8, 2014 at 12:00 a.m. Eastern Time (“ET”) and ends on September 4, 2014 at 11:59 p.m. ET. PRIZES – ONE (1) GRAND PRIZE: $45,000 worth of furnishings for a Design Your Home winner, awarded in the form of gift cards from Williams-Sonoma Inc. (redeemable at Pottery Barn, Pottery Barn Kids, PBteen, and West Elm), and paint and labor from Sherwin-Williams worth up to $5,000(awarded in the form of a gift card). Approximate Retail Value: $50,000 USD. 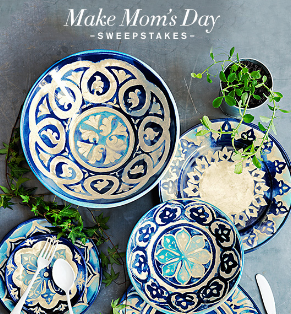 Williams-Sonoma “Make Mom’s Day” Mother’s Day Sweepstakes – Win a $5,000 Williams-Sonoma gift card! Win a $5,000 Williams-Sonoma gift card! ENTRY LIMIT – Limit: Only one entry per family unit, regardless of method of entry (a family unit is those persons having the same last name and address). ELIGIBILITY – The Promotion is open only to legal residents of the United States of America and the District of Columbia who are 18 years of age or older at the start of the Promotion. SWEEPSTAKES PERIOD – The “Make Mom’s Day Sweepstakes runs from 12:01 am PST on April 17, 2014 through 11:59 pm PST on May 9, 2014. PRIZES – One (1) grand prize consisting of one (1) $5,000 Williams-Sonoma gift card (approximate retail value (“ARV”): $5,000).